Those words have sparked debate by Biblical scholars for centuries. The appearance of these mysterious people in the Old Testament is marked by evil, corruption, wickedness, and perversion of every sorts. Yet the passage in Genesis is vague about their exact identity. The book of Numbers talks of their descendants. However, the controversy rests on the identity of the "sons of God" in the book of Genesis. The Book of Enoch remains the most comprehensive account detailing the vague passage in Gensis. It fills in the gaps left in Genesis. However, this book is controversial amongst scholars. The secrets revealed in I Enoch are startling. Enoch, as well as the ancient world, believed the "sons of God" were fallen angels. 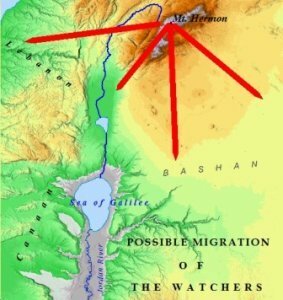 Enoch called them the Watchers. The Nephlim were the half-divine, half-human offspring. The Dead Sea Scrolls provide a physical description of one of the Watchers in the scroll entitled; The Testament of Amram. Amram was the father of Moses. In this narrative he receives a vision, in which he sees the Chief Angel of Darkness, named Melkiresha. Amram also encounters the Watchers. "I saw Watchers in my vision...And behold two of them argued about me and said..."
"His looks were frightening like those of a viper, and his garments were multi-coloured and he was extremely dark..."
It is quite remarkable three ancient, separate, distinct, and individual documents, one Biblical, and two not, make mention of the same group of beings and their offspring. Who were these people? What took place in these most ancient of days? 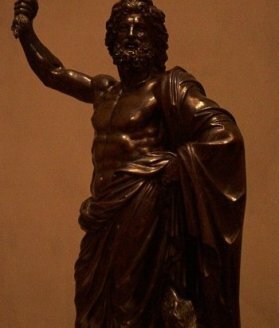 Why are they mentioned in multiple ancient texts? Are they still active today? Barnesandnoble.com offers The Book of Enoch. This is the most popular apocalyptic book outside the Bible. The Ethiopian Orthodox Church claims it divine Scripture. Written by Enoch, it gives the account of the Watchers and their offspring found in Genesis 6! Click on the link below to be re-directed to barnesandnoble.com. Click to share your thoughts. Were you aware of these beings presence throughout the Bible? What is your opinion of their identity? Click on the above link to share your thoughts, questions, and comments! The Nephilim Giants : Genesis 6 may be the one of the most mysterious passages in all of the Bible. The sons of God are said to have reproduced with the daughters of men. Their offspring were mighty men, men of old, men of renown. Who were these men? Angels Marry Women? : This is an excellent and in-depth article written by Robert Gentet. His website, www.creationhistory.com, is a very thought provoking and interesting site. This article touches on a number of themes and issues involving the Nephilim and their identity. The Return in Numbers : Scripture states the flood in Genesis was a worldwide flood, destroying all life upon the earth. However, in Numbers 13 the Israelite spies encounter these people! How can this be? This is yet another mystery surrounding these mysterious people. The Rephaim : The Rephaim were descendants of the Nephilim, according to Numbers. Abraham and Lot would have encountered these people during their time in Canaan. The Rephaim also fell victim to the same King Chederlaomer responsible for conquering Sodom and Gomorrah. 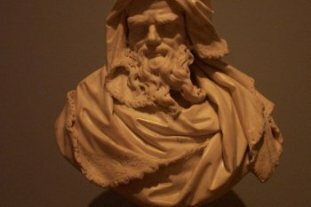 Enoch the Prophet : Enoch was one of the great men of the Old Testament. However, the Bible does not mention much concerning the life of this ancient prophet. Sources of Apocalyptic Literature depict a man of extreme righteousness. The book of Enoch (part 1) : Enoch deals with the full story behind Genesis 6 in the book of Enoch. Section 1 deals with chapters 1-7 in the book of Enoch. The Book of Enoch (part 2) : Section two deals with chapters 8-12 in the book of Enoch. Enoch receives instructions from the faithful Watchers regarding God's message to the fallen angels. The book of Enoch (part3) : Section three deals with the book of Enoch chapters 13-15. 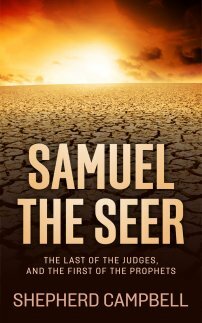 Enoch ventures to the throne of God where he receives God's judgment on the fallen Watchers. The Greek Septuagint : The Septuagint was translated by Jewish Elders in Alexandria. They believed the "sons of God" were indeed fallen angels. Flavius Josephus : Flavius Josephus shared the opinion of the other ancient historians and Church fathers. He believed they were the half-divine offspring of fallen angels. Josephus also connects them to the Greek gods of Greek mythology. Angels were sons of God. Adam was a son of God. We are sons of Adam. You can't "Pick and Choose" truth. So, is astrology evil? Or was it like people learning to run before they can walk?